HAIM and Emma Stone have partnered to raise money for a number of charities including the LA LGBT Center. Videos 25 January, 2019 . Written by Katie Donohoe. The HAIM sisters and Academy Award winner Emma Stone have joined forces and recreated the iconic music video for the Spice Girls song ‘Stop’, which was originally filmed in Ireland. The sisters and Stone are collaborating with the fundraising platform Omaze and offering fans the chance to attend a Spice Girls concert in London with them and meet the Spice Girls backstage. Fans can enter the competition by donating on Omaze, which will go to charities such as the Los Angeles LGBT Center, Girl Up and Child Mind Institute. 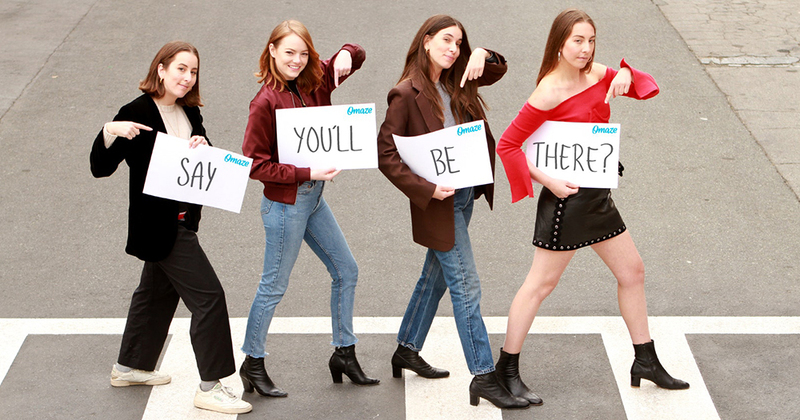 In the video, HAIM and Emma follow the original dance moves and use the lyrics to give details fo teh charities and how fans can donate and enter the competition. Este even adds in some of her iconic ‘bass faces’. The Spice Girls are heading to Croke Park in May 2019. The era-defining, history-making, best-selling female group of all time are bringing girl power back in full force as they reunite on stage for the first time since the London 2012 Olympics, hitting stadiums across the UK and Ireland and proving you never give up on the good times. It was also recently announced by the band’s manager Simon Fuller that there is an animated moie about the nadn in the works. 25 January, 2019 . Written by Katie Donohoe.